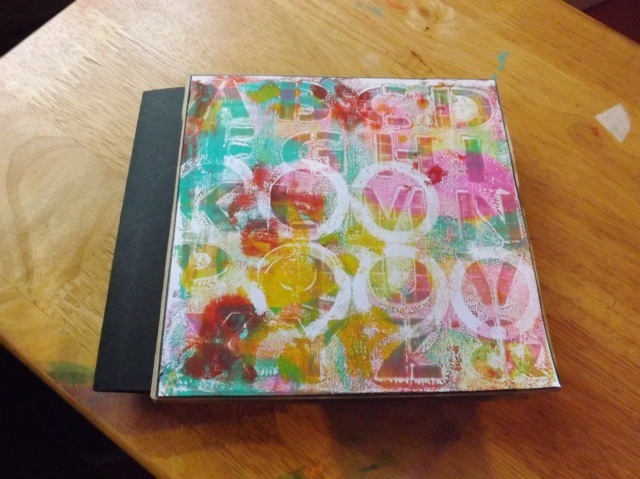 Gelli Print Paper Bag Book! You know me – I love PBBs. 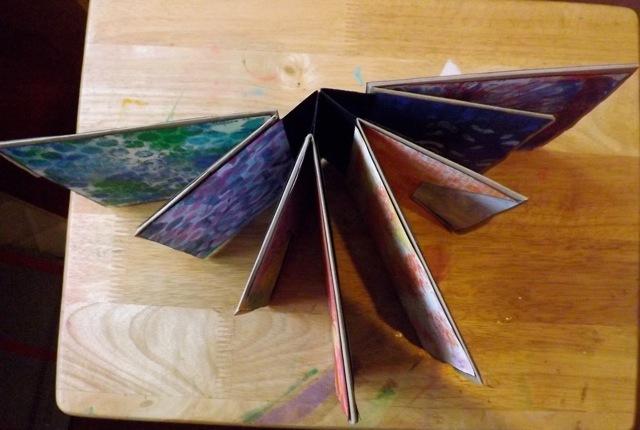 I like coming up with different constructions using them and find them so useful for mini albums. I had some connectivity and commenting issues yesterday that kept me from my WOYWW hopping, but I am off to rectify that as soon as I post this. Then a long-time scrapbooking mate is coming for lunch (and she quilts too, so we should have a lot to chat about!) and prep for my local Basingstoke crop to sort out for Saturday – I’ve missed it for about 3 months and I hate that! So here it is. I will TRY to explain the construction tomorrow as I think I need to take a few more photos to make sure it’s clear. but I am guessing if you make PBBs you will have good idea of how this works. 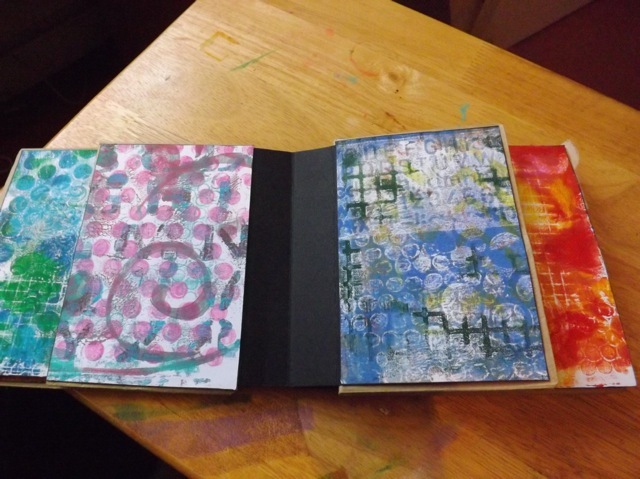 This is the first spread – the main part of the spread has a flap, covered on both sides with Gelli prints to create a flip-up page, then a bottom flap that creates a pocket, with the bottom of the bag folded over to create another pocket to the right. 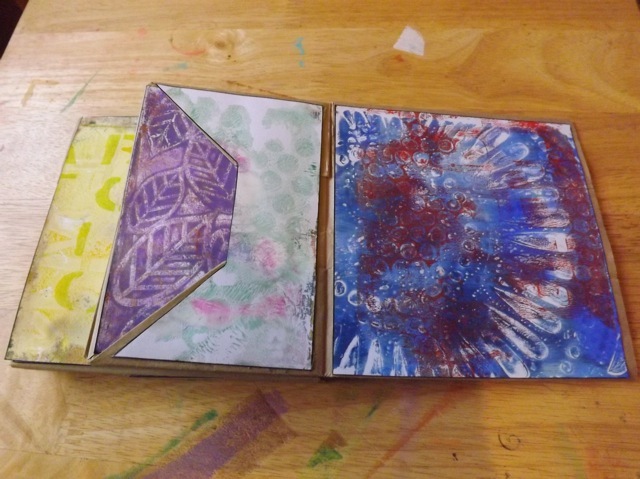 The book uses four standard lunch bag sized bags, joined in two groups, so the middle spread is the back of the first group and the front of the second group, creating a full size page. And because I didn’t want a pocket on the inside back cover, I just covered that page fully. See what I mean? It’s easy and complicated at the same time. The spine gussets extend past the edge of the bags, creating the joins, allowing the pages to really open and standing up it has this almost star-book effect. All in all I used 25 pulled prints, some cut in a way that allowed me to use them in more than one place. How’s that for using up prints!? 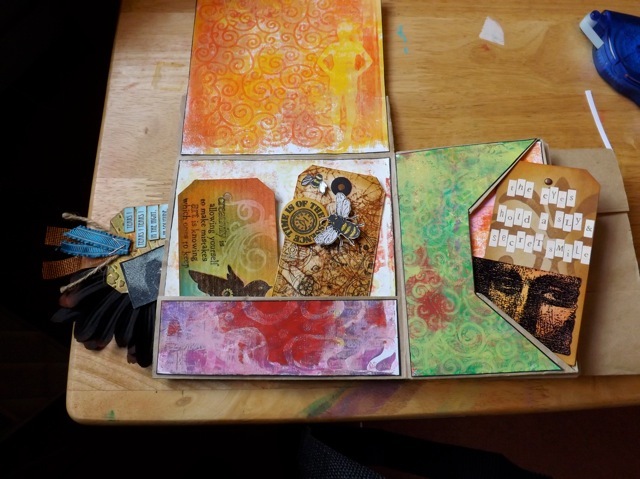 Categories: art, Gelli plate monoprints, mini-albums | Tags: art techniques, Gelli plate, mini-albums, paper bag books | Permalink. You’re good a making those! I have a short attention span! Happy WOYWW! 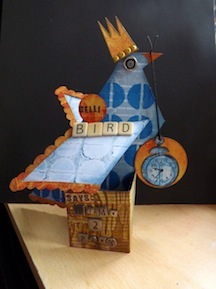 I also am a paper bag mini fanatic; and though I’ve not made one using this style, i’p to trying it! At least watching the prep while my castes arm continues to heal. 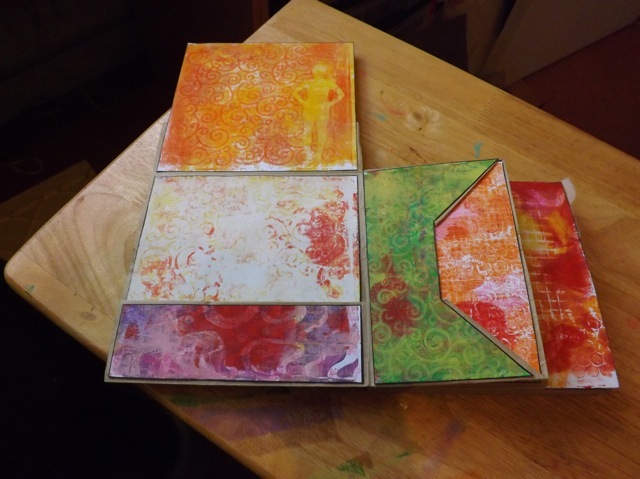 In the meantime, I’ll just make more gelli prints, to add to the stack I already have, lol! BTW, your book is wonderful! 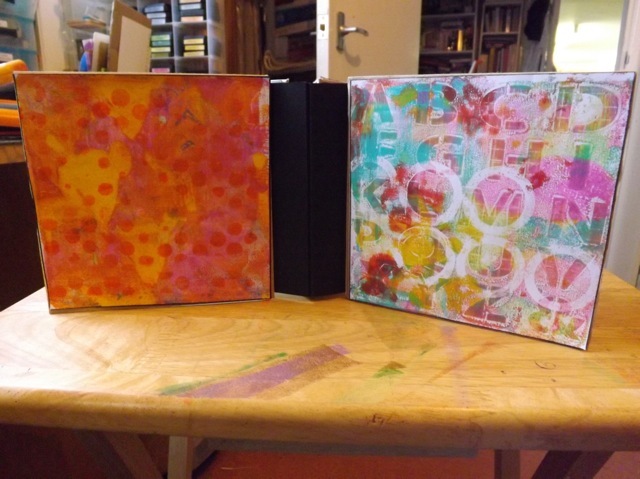 Wow that’s amazing and I have a stack of paperbags upstairs that could do with using up, my niece asked the other day what she could do with all her gelli prints – mmmm now you’ve got me thinking! 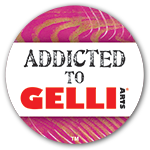 Your minis are always fantastic and I’m LOVING all the gelli prints! 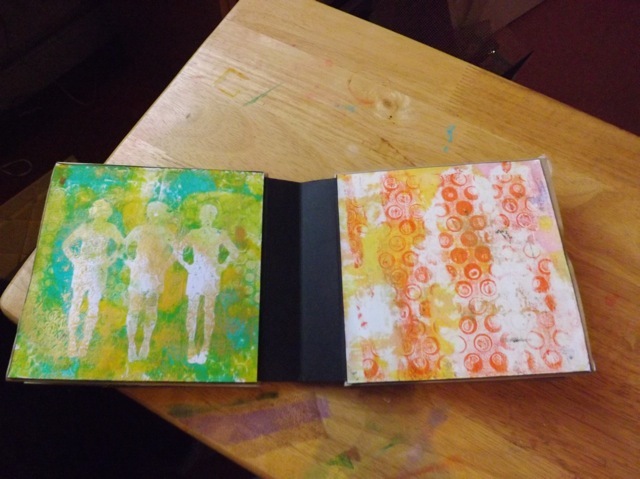 OMG this is amazing, I so love your gelli paper pages and the book is incredible. Stunningly beautiful! I LOVE it! Awesome!!! Very inspiring. Thank you so much for shaing. Your PBB is superb and it has now rocked the boat for me. 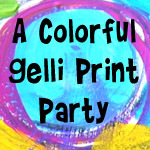 I have been dithering over getting a Gelli Plate and now you’ve REALLY made me want one big time!